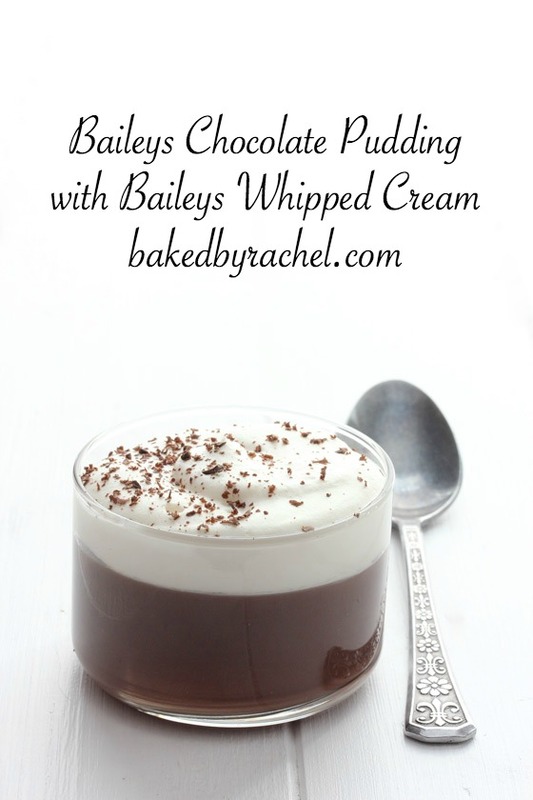 Creamy homemade Baileys chocolate pudding with Baileys sweetened whipped cream topping and chocolate shavings. A perfect treat for St Patrick’s Day. I had to get in at least one sweet recipe perfect for St Patrick’s Day festivities. Whether you celebrate or not, this is a must make for fans of Baileys Irish cream! Bonus, it comes together super quick and you can eat it warm or chilled. I’m more of a chilled pudding girl. But growing up, I remember not having the patience to wait. Plus, I didn’t want to let it sit and get that weird pudding skin that sometimes happens if it’s left uncovered. You know what I mean. Pudding skin is bad. But, chocolate and quick desserts are good. Very good… especially so when Baileys is involved! 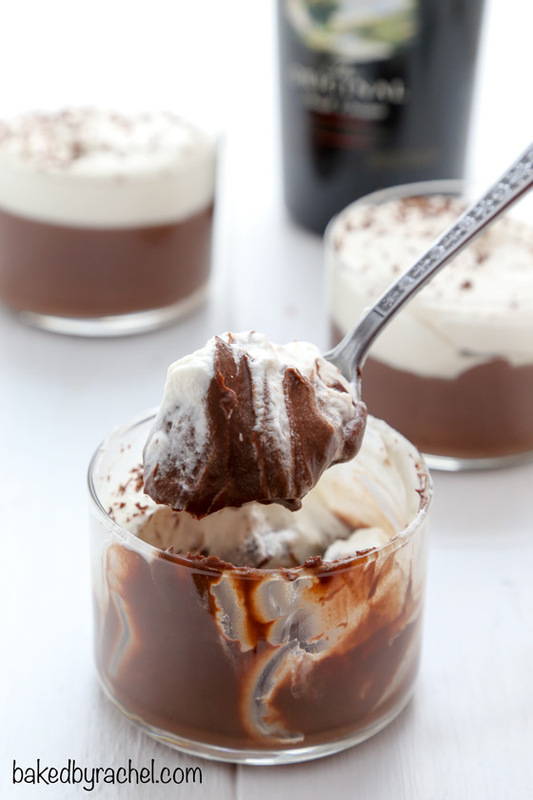 A classic dessert with a fun boozy twist, perfect for St. Patrick’s Day! 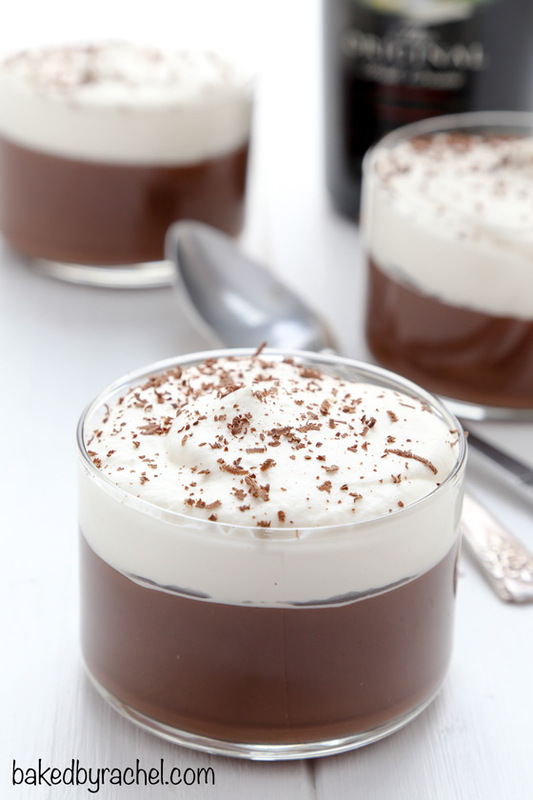 Easy and creamy homemade chocolate pudding, spiked with Baileys Irish cream. 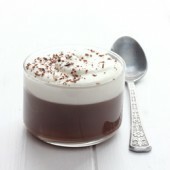 Individual servings are topped off with Baileys sweetened whipped cream and a dusting of chocolate shavings. A fun dessert for a special occasion or any time of the year! Be sure to add this fun dessert to your baking plans! Homemade Baileys chocolate pudding with Baileys whipped cream topping. A perfect treat for St Patrick's Day. In a medium bowl, sift together cocoa powder, cornstarch and salt. Whisk together heavy cream and egg yolk, then pour into cocoa mixture, mixing with a wooden spoon until smooth and thick. In a medium saucepan over medium heat, combine milk and sugar. Whisk gently to dissolve sugar. When bubbles form along the edge of the pan, remove from heat and whisk in cocoa mixture until smooth. Bring to a boil over medium-high heat, whisking constantly. When large bubbles form, remove from heat, stir in chocolate, vanilla and Baileys. Whisk until completely smooth. Divide between serving dishes. Enjoy immediately or cover gently and chill until ready to serve. In a medium bowl beat together heavy cream, Baileys and powdered sugar until glossy and stiff peaks form. Pipe or spoon onto chilled pudding cups. Serve with optional chocolate shavings. Recipe yields 5: 1/2 cup servings.